-Five more years will be added to the gradual rise in pension and early retirement age. 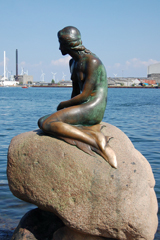 In 2012, Denmark was awarded A grade ranking by Mercer and became the world's first A rated pension system. "Denmark's unique A grade ranking has been awarded in recognition of the country's well-funded pension system, its high level of assets and contributions, the provision of adequate benefits and a private pension system with well-developed regulations," the report said. The Danish pension system is composed of a public pension pillar, two statutory occupational schemes, voluntary occupational and voluntary private pension savings. Voluntary occupational pension plans are in fact mandatory, given collective agreements between social partners. government reimburses municipalities for their pension expenditures. age is currently 65 years but will increase to 67 during the period 2024-2027 by half year each year. From 2025 onwards, the statutory retirement age will be indexed to life expectancy taking into account increasing longevity. The minimum qualifying period for Danish citizens is 3 years of residence between the age of 15 and 65/67 and 10 for non-Danish citizens (including the last 5 before retirement). The full basic amount is earned after a full forty years of residence I Denmark. Employees aged between 16 and 67 are covered under the scheme. All wage-earners in Denmark with more than 9 hours of paid work per week pay ATP contributions to complement the national scheme. The ATP has the same age requirements as the folkepension, hence one has to retire at 65 (67 from 2027), and there is no minimum qualifying period. The employer pays two-thirds of the ATP contribution, and the employee one-third. The amount paid depends solely on the number of hours worked. The maximum contribution for a full-time employee in the private sector corresponds to 1% of the earnings of an average full-time employee. Pension benefits depend on how long contributions were paid and accounts for a maximum of 41% of the state basic pension. The pension is paid out either as a lump sum if the balance is small (below a set amount) or in the form of an annuity and is subject to taxation. Despite there being no statutory requirement for additional occupational pension provision, plans that have been introduced by collective agreement by the relevant employer associations and unions are compulsory for all companies covered by the agreement with only limited opt-out opportunities. On average, the contribution rate amounts to 15% of income with the employer contributing 2/3 of that rate. The overwhelming majority of these schemes (more than 90%) are defined contribution (DC) schemes. Only about one-third of voluntary occupational schemes in Denmark are funded using a single company pension fund, the vast majority use an industry-wide pension fund. The company pension fund is playing an ever-diminishing role. This reflects the Danish industrial structure with many small and medium-sized companies making the industry-wide pension funds more cost-effective. Insurance arrangements are the most popular form of funding for voluntary occupational schemes in Denmark, as well as for the mandatory ATP schemes, with about two-thirds of voluntary occupational schemes being funded by insurance schemes. Retirement benefits can also be funded through a bank using special savings accounts, which are also applicable for third pillar pension provision.